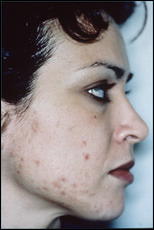 For years, skin problems such as acne, fine lines and sun damage have been treated with lasers and chemical peels. 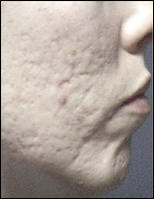 Now there is a modern safe and virtually painless alternative, Microdermabrasion. DERMA GENESIS® Medical Microdermabrasion uses a highly controlled flow of fine, medical grade crystals to remove the dead, outermost layer of skin. This skin exfoliation process reveals the new, living skin cells that are soft, smooth and receptive to nutrients. 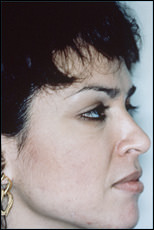 The procedure is performed by using a hand piece that the operator passes over the skin. 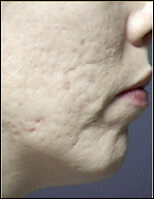 This evenly removes the stratum corneum, the outermost layer of skin, as pictured above: At the same time the underlying epidermis is also stimulated by the abrasion and the vacuum. 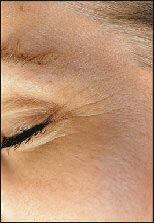 This promotes new collagen which thickens the dermis and improves resistance to the effects of ageing. The microdermabrasion procedure takes approximately thirty minutes, depending upon the skin condition, the area to be treated, and the desired outcome. Many will notice improvements in the texture and appearance of their skin immediately after the first treatment but optimum results are obtained through a series of treatments, typically four to eight treatments, spaced seven to 14 days apart. Significant results should be seen in four to five weeks. The long-term benefits of multiple procedures can be remarkable. The result is a glowing, smooth, even and bright complexion. It is equally an ideal treatment to help you look fantastic for a special occasion or, more seriously, to treat unsightly skin blemishes and acne scarring. Mild redness may occur for 30 mins to half a day after the Microdermabrasion procedure, depending on the aggressiveness of the treatment. There are no side-effects to this treatment and no recovery time is required. 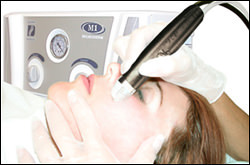 Medical microdermabrasion is a safe, non-surgical resurfacing procedure performed by a certified professional. It is an ideal treatment for young or old, male or female and for all skin types. Although mainly used on the facial area it may also be performed on the chest, back, shoulders or other areas as required. Medical microdermabrasion is an effective skin rejuvenation procedure that requires no downtime, allowing patients to resume normal activities immediately after the procedure. 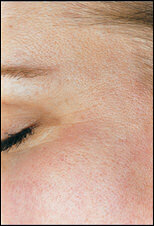 The procedure is extremely popular because it is painless yet effective with minimal redness, swelling or irritation. The DERMA GENESIS® medical microdermabrasion systems lead the world in providing the most effective treatments. Continuous product development ensures that your medical microdermabrasion treatment will not only be comfortable and enjoyable but achieve the best possible results.